Please select on a subcategory above to find the exact sma termination (sma load) that you need. 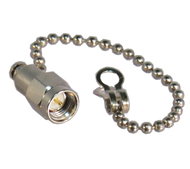 We offer many sma terminations; 1watt, 2watts, & 10-100 watts. 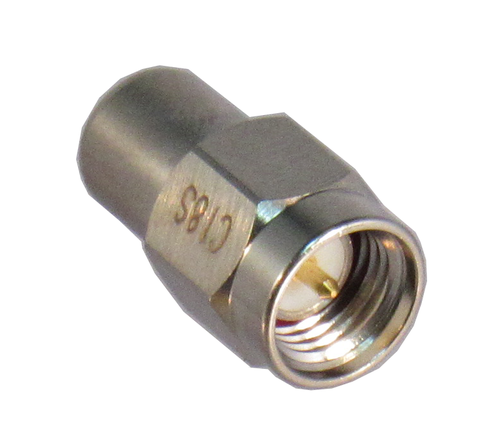 Our sma terminations come in brass & stainless steel bodies.27Ghz sma terminations are considered precision sma terminations. Please select on a subcategory above to find the exact sma termination (sma load) that you need. An SMA termination, aka sma load, aka sma terminator, is usually stainless steel so 8 in-lbs is appropriate, but occasionally for low cost application sma terminations are made of brass and should be tightened at 4 in-lbs. A standard sma termination will work to 18ghz, though occasionally very low cost units are spec’d to 6 ghz. Use an sma termination to terminate a port with low reflections. Our low frequency sma loads tend to be brass. These terminations are made with precision resistors, and are not to be confused with sma connector terminations whiich refer to attaching the sma connector to the cable. 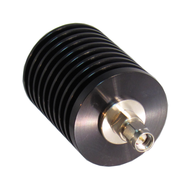 SMA terminations with a precision interface can work to 27 ghz. Power handling of an sma termination / sma load can range from 1 watt to > 100 watts. Please select a subcategory from the drop down menu above to find the exact sma termination you're looking for.